This autumn H2DANCE has been exploring possible links between Nordic festivals and Fest en Fest. With support from BIT Teatergarasjen Bergen Norway we visited their festival Oktoberdans. In November we traveled to Everybody’s Spectacular in Reykjavik Iceland with support from Reykjavik Dance Festival. We have now secured funding from the Nordic Culture Fund to further develop our connections with venues and festivals in The Nordic Countries and will take up residencies at Vitlycke Sweden, Reykjavik Dance Festival Iceland and Multiplié dansefestival Trondheim Norway in 2019. The next edition of Fest en Fest will take place February 2020 in Deptford London and the east of England. H2DANCE invited writer Ian Abbott to write about Strangers & Others. 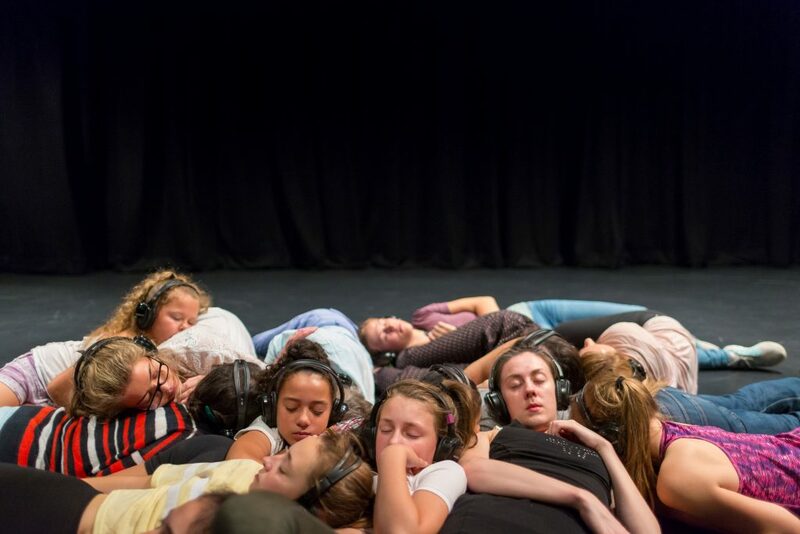 In 2017 H2DANCE secured research funding from Arts Council England to develop a festival of new choreographies titled Fest en Fest in partnership with Trinity Laban, The Albany and Goldsmiths in South East London. The festival will take place 22nd – 24th of June 2018 across the three venues, encompassing performances, workshops, seminars as well as afternoon and evening gatherings and parties. It will focus on work in the expanded choreographic field, presenting artists from the Nordic Countries and the UK. For one day only, the whole building is completely taken over by an explosion of dance for children aged 2 to 8 and their families. Take a look at what we are up to this summer! Using improvisation and set material and drawing inspiration from the participants, we will explore ways of making, questioning and observing material for performance, using voice and movement. We will take turns to experience the work both as performers and spectators and look at ways in which a performance can become immersive moving in and around, and at times involve the audience. H2DANCE is currently creating a new performance project called Strangers and Others. The reseach stage took place in 2016 during residencies at Nordic House Reykjavik Island, Dance4, Nottingham UK, Karlstad Sweden and Bergen Dansesenter Norway and at Laban Theatre Januray 2017. The work will go into production from April 2017. More info to follow soon. H2DANCE was present at Tanzmesse on the Performing Arts Hub Norway’s booth 31st of August – 3rd of September 2016.